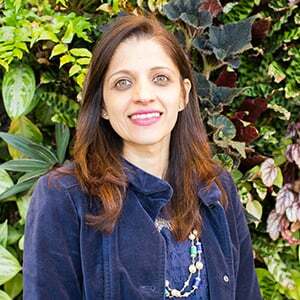 February 4, 2019 Pinky Advani is a Senior Business Development Manager at Arlington Transportation Partners. She has been living a car-lite lifestyle for 15 years and currently rides the Metro each day to work. ATP Takeaway: The secret to an enjoyable and safe journey is following these golden rules for the road. Everyone should share the road, no matter if you’re using the sidewalks or the streets. Hopefully, you’re familiar with my public transportation etiquette rules and are following them. You should be a natural at taking transit with those tips. How about following some etiquette outside of transit? The roads are for everyone and by following simple rules, we can minimize disruption and ensure safety for all. Sidewalks are primarily for pedestrians, however, Arlington County does allow standard scooters, standard bikes, and e-bikes on sidewalks. Just note, rules for dockless bikes and scooters differ according to each jurisdiction. In Arlington, e-scooters are not allowed on the sidewalk. When walking, scooting, or biking on sidewalks, it’s important to be aware of your surroundings. Let’s turn down the volume on the headphones a tad bit. E-Scooters must use the bike lane and while Arlington does allow the use of bikes on the sidewalk try to opt for bike lanes to ease the crowding on sidewalks. Also, remember to stop at red lights and stop signs and to ride in the same direction as motor vehicles. Dockless bikes and e-scooters have been a good addition to various commute options available in Arlington County. Let’s be courteous and park it away from the pedestrian right-of way or vehicle traffic. Please, no parking dockless bikes or e-scooters in your building garage. We understand that sometimes, driving is your best option but let’s be respectful of personal space just like when riding transit. Remember to leave at least three feet of space between your vehicle and people biking. 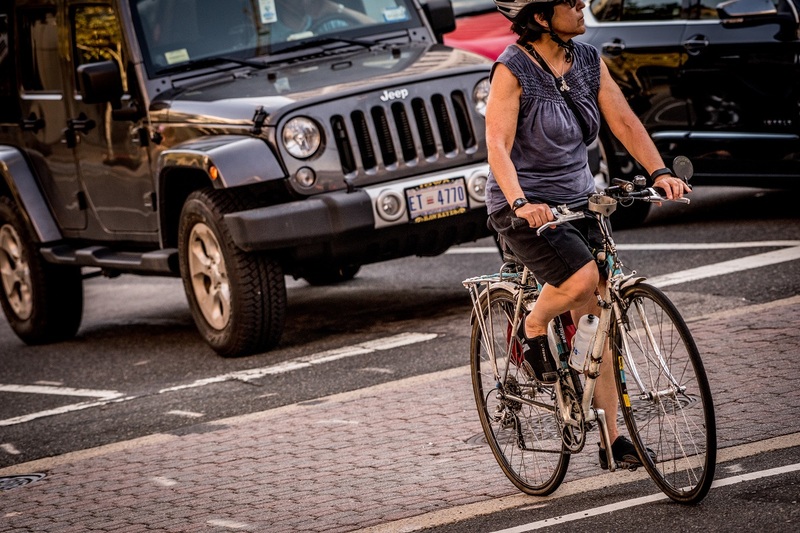 Virginia law requires a person in motor vehicles to pass at least three feet to the left of the person on the bicycle. Now that you have read my golden rules are you ready to follow them? By following these rules and making small changes we can make the journey delightful and safe for all. If you are commuting in or out of Arlington, Virginia, fill out our Commute Planner form and we’ll help you find the best commute option.